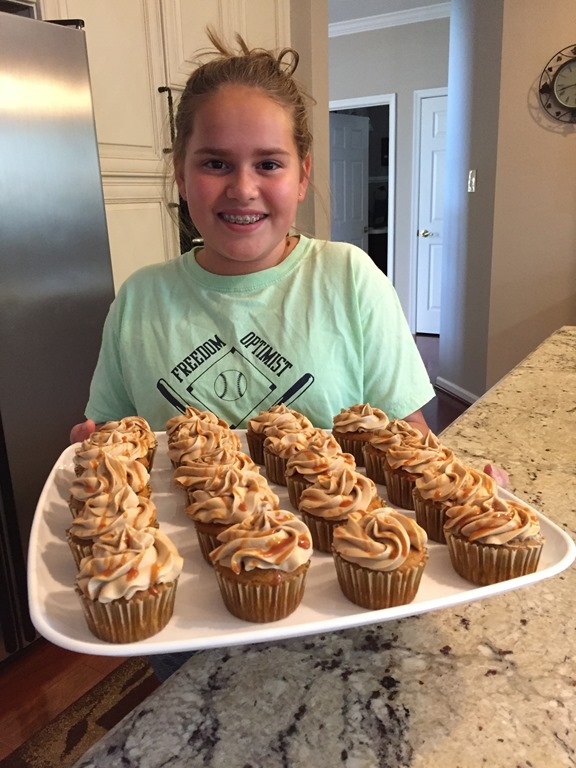 Little J made these Caramel Pumpkin Cupcakes for our neighborhood chili cook-off and kids’ bake-off. She made them completely on her own (except for some help making the salted caramel to drizzle on top). She did all of the baking and decorating herself, though. Her efforts paid off: she came home with the prize for best-tasting dessert! She was very excited. 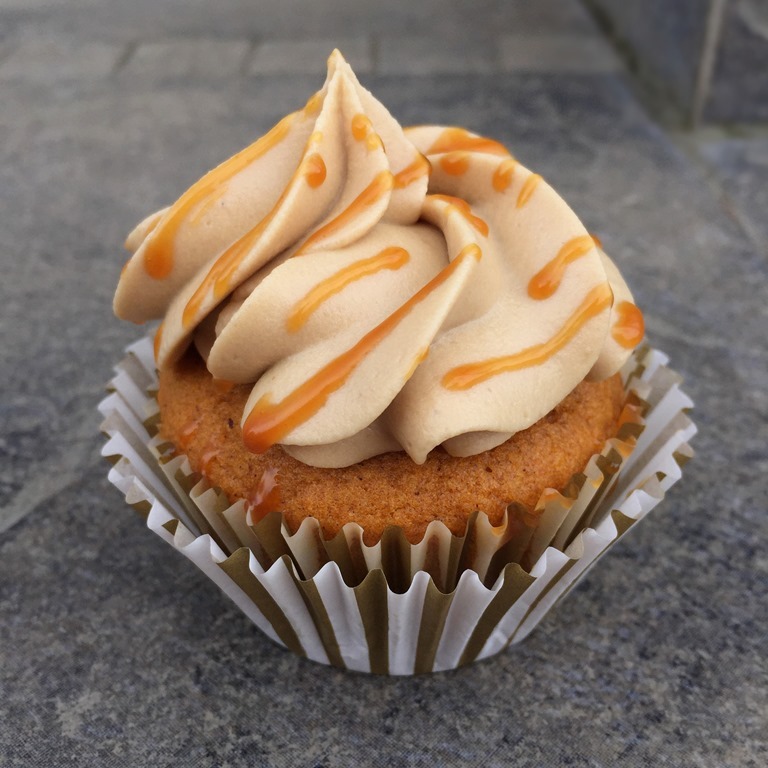 This pumpkin cupcake batter is extremely versatile. 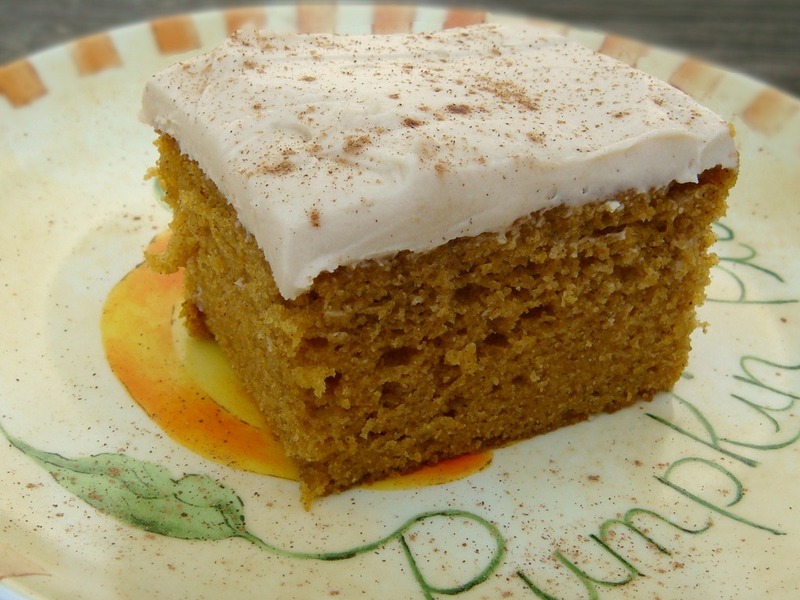 We have used it to make Pumpkin Cupcakes, Pumpkin Bars, Pumpkin Sheet Cake, Pumpkin Bread. It adapts well to any size pan you choose to bake it in. 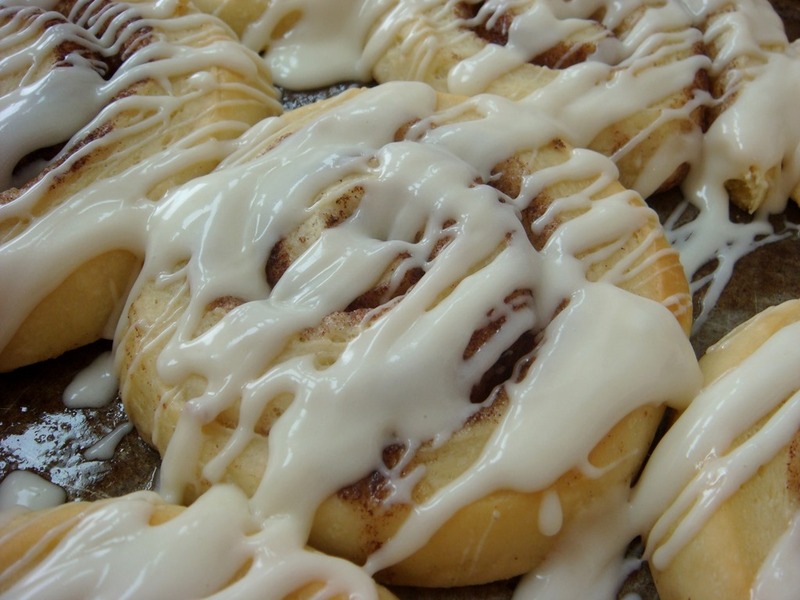 The frosting is a delicious caramel cream cheese icing. You start by making a simple caramel on the stovetop and then beating in cream cheese and a little extra powdered sugar. If you are going to pipe it onto cupcakes, it benefits from a good chill in the fridge to firm it up a little, followed by another beating with a mixer once it has chilled. So start your baking by making the frosting first and then move on to the cupcakes while the frosting chills. Preheat oven to 350°F. Line muffin pans with 24 paper liners. Using a mixer, beat eggs, sugar, oil, vanilla and pumpkin until light and fluffy. In a separate bowl, stir together flour, baking powder, baking soda, salt, cinnamon, ginger and nutmeg. Fold into pumpkin mixture. Scoop batter into lined muffin pans. Bake for 18-20 minutes, or until toothpick inserted in center comes out clean.Remove from pan and cool completely. Use a pastry tip (I used Wilton 1M) to frost the cupcakes. 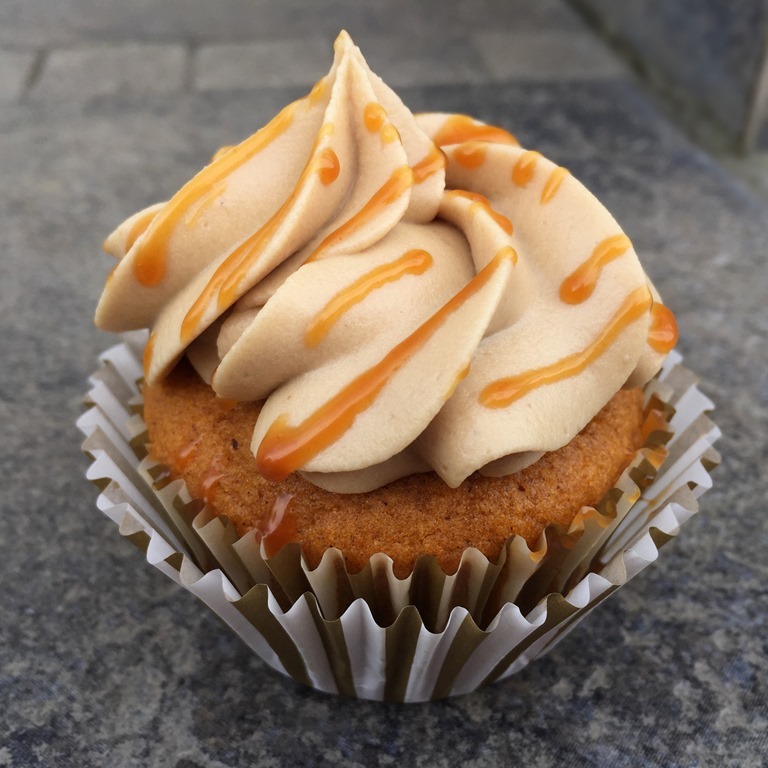 Drizzle with salted caramel. Store frosted cupcakes in the refrigerator if they are going to be left out for more than a few hours. Place butter, cream and brown sugar in a medium saucepan. Stir together over medium heat until mixture comes to a boil. Reduce heat to medium-low and simmer for 12 minutes, stirring occasionally. Remove from heat and pour into a mixing bowl. While caramel is hot, beat in cream cheese, vanilla and salt until well mixed. Beat in powdered sugar. Cover and place frosting in the refrigerator for at least 1 hour. 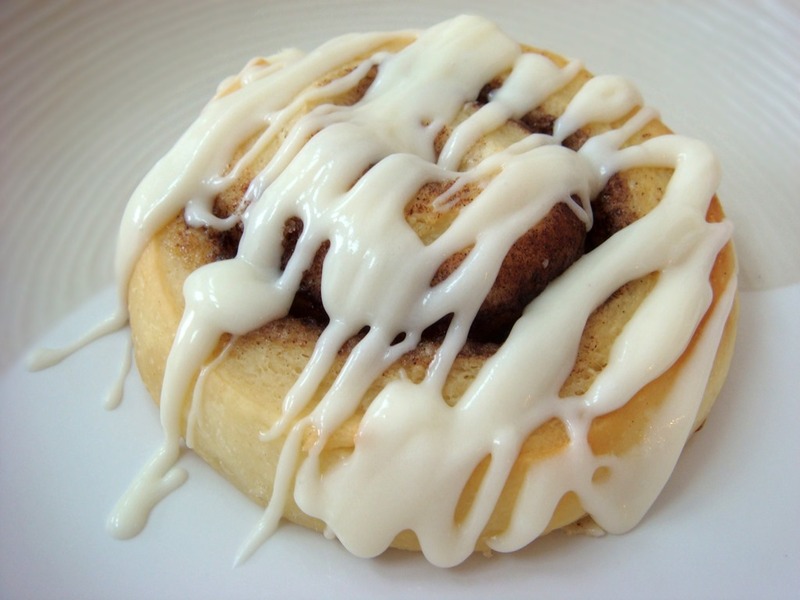 When frosting has chilled, beat again until light and fluffy. Store leftovers in the refrigerator. Stir in cream, stirring constantly until smooth. Stir in salt and vanilla. Pour caramel immediately into a glass jar or heat-safe bowl to cool. Do NOT scrape sides or bottom of the pan with a spatula. If you do, you are likely to get sugar crystals into your nice smooth caramel. If the caramel has formed crystals while cooking, you can pour it from the pan through a fine sieve into the jar to remove any crystals before cooling. Due to a late Halloween (thanks to Hurricane Sandy) and an earlier than usual Thanksgiving, it is time to do some serious Thanksgiving planning around here! This is a quick and easy dessert perfect for any fall holiday or for surprising the kids with a mid-week dessert just for the fun of it. It is amazing the bewildered (but joyful) looks on their faces when you produce dessert without any other reason than that you love them. Spray a 15x10x1” jelly roll pan to make Pumpkin Bars or a 9×13” pan to make a Pumpkin Sheet Cake with cooking spray (preferably the kind with flour made for baking). Spread batter into prepared pan. Baking Times: For 15×10” pan: Bake for 25-30 minutes, or until set. For 9×13” pan: Bake for 35-45 minutes. Cool in pan; frost in pan. Using a mixer, beat cream cheese, butter and vanilla until light and fluffy. Beat in powdered sugar. Optional: beat in about 1/4 tsp pumpkin pie spice or cinnamon, if desired. Frost cooled cake. Sprinkle with nuts and/or pumpkin pie spice for garnish.